Product #17600 | SKU CAPSULE KIT FLIGHT CASE | 0.0 (no ratings yet) Thanks for your rating! 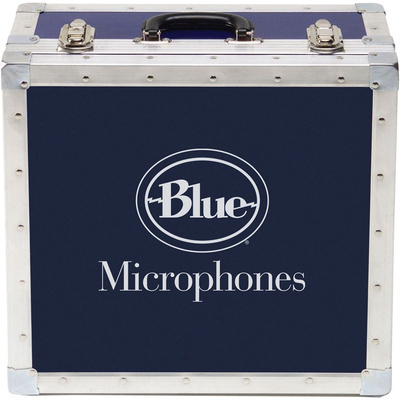 The Blue Microphones Bottle Capsule Kit Flight Case (Silver) is a replacement for the case supplied with a Blue Microphones Bottle Capsule Kit. The case is made from aluminium exterior with interior cutouts in velvet covered foam. It is carried by a folding rubber handle.